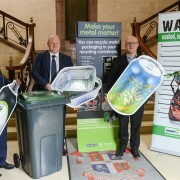 Warwick District Council has increased kerbside recycling of metal packaging by 28 per cent in just six months – through MetalMatters, the industry-funded communications campaign. 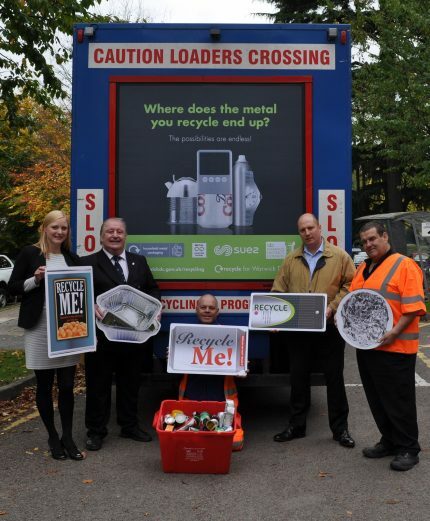 Launched in October 2015 the Warwick MetalMatters campaign directly targeted all 53,000 households in the district with a two phase leaflet drop and additional advertising on recycling vehicles, council information points and at a local cinema. 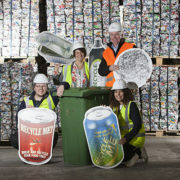 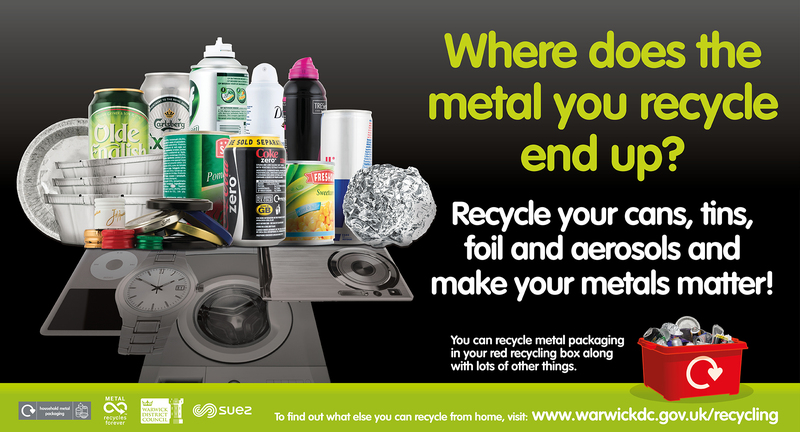 The campaign cost 29p per household and was funded by the MetalMatters industry partnership and SUEZ recycling and recovery UK, who hold the collection contract with Warwick District Council. 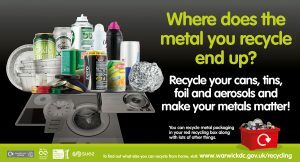 Additional revenue generated from the increase in metals capture and landfill tax savings meant campaign costs were recouped within six months.